Florindo and Antonio Verrecchia take ownership of People’s Cash Market as the family’s first enterprise in the food business. 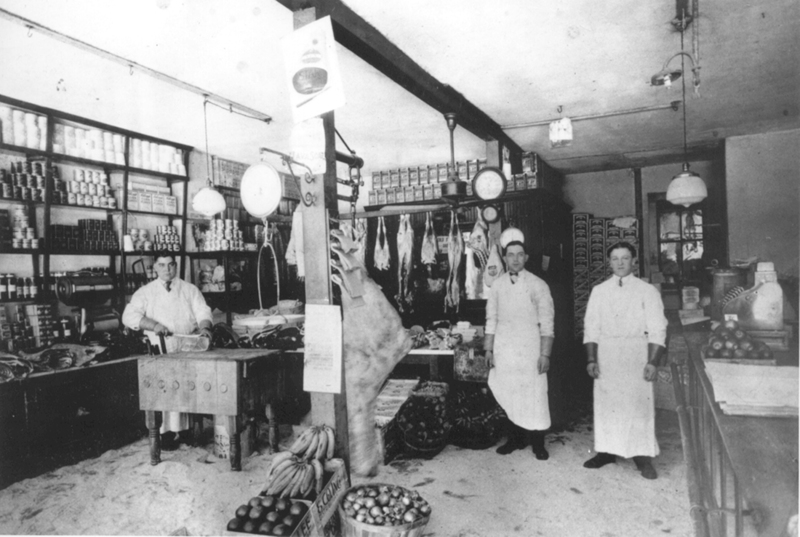 The small market in the Italian immigrant neighborhood quickly earns a reputation for quality meats and great service. Antonio’s wife Vincenza (Letizio) works alongside her husband and brother-in law, cutting meat as they grow their business and reputation in the neighborhood. Deliveries come daily by horse drawn cart and the small ice cooler holds back stock, while cuts of beef, lamb, pork and veal are hung and merchandised for customers to see, along with dry groceries and household goods that stock the shelves. A few electric light bulbs illuminate the market after dark. Success in the market leads to Florindo selling his share of the store to Antonio and Vincenza and the busy little market grows to need the help of more skilled hands and can-do meat men to meet the demand. 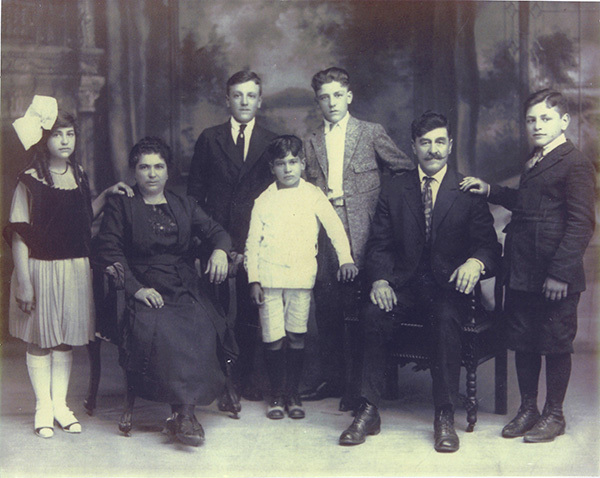 Enter the 2nd generation as Antonio’s sons and his nephews, the Letizio brothers join the family business. In this photo, young Alfred Letizio (center) works alongside Uncle Antonio. Michael Letizio and wife Carolina Verrecchia immigrated from Presenzano, a small village in the Caserta province of the Campania Region of Italy. Life as a sheepherder gave way to opportunities in the New World in America. This family picture was taken with children Emily, Tony, Alfred, Frank, and Louis. 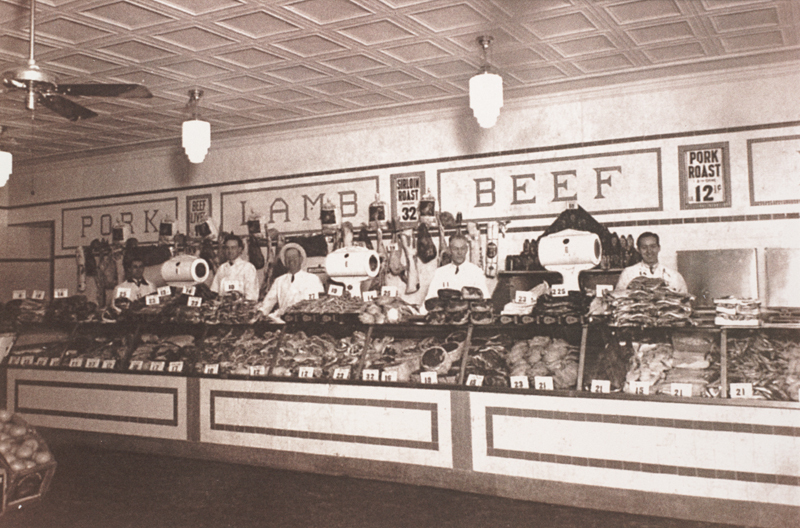 All of the Letizio brothers would ultimately go on to start their food industry careers at the family business, People’s Cash Market in Lawrence and each grow to become master meat merchandisers.